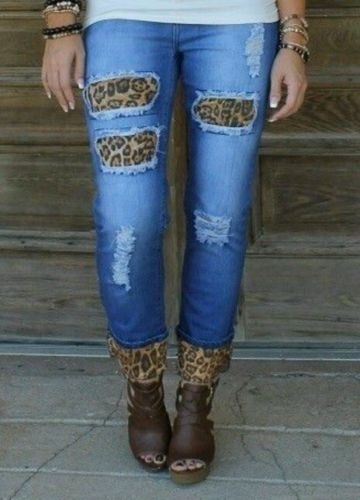 Mid dark relaxed fit boyfriend jeans with mid rise and cuffed hem, with leopard patch detail. Made with stretch fabric that hugs your curves for a comfortable fit. True to size!